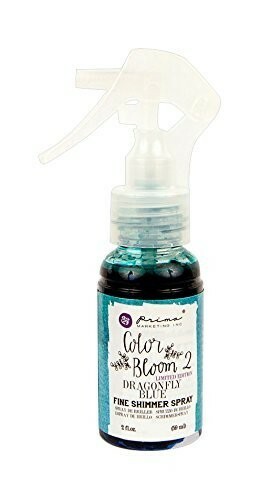 Prima Marketing-Color Bloom 2 Spray Mist. Comes ready to be mixed with water. This vibrant and shimmery, eye-catching dye and mica spray is great for any mixed media project! This package contains one 2oz spray bottle of spray mist. Non-toxic. Archival safe.